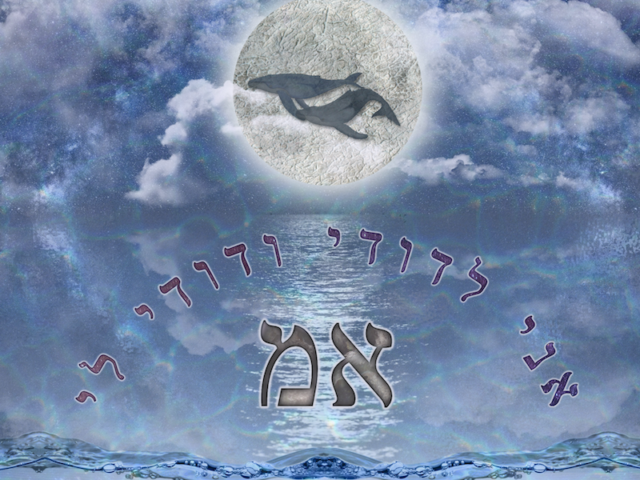 G-d said, “Let there be luminaries in the firmament of the heaven to separate between the day and the night; and they shall serve as signs, and for festivals, and for days and years; and they shall serve as luminaries in the firmament of the heaven to shine upon the earth.” And it was so. 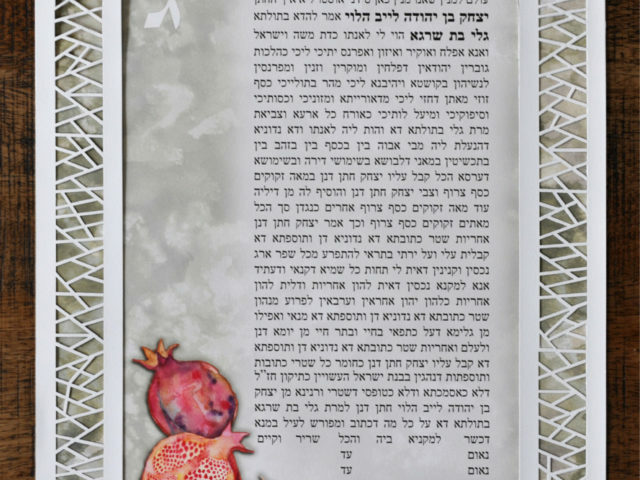 Inspired by the exciting and dynamic Jewish Calendar of Chaggim and Festivals, the Ketubot in this series harvest motifs and symbols that are significant and meaningful to the stories, traditions and observances of each Chag and Holiday into the design expression. 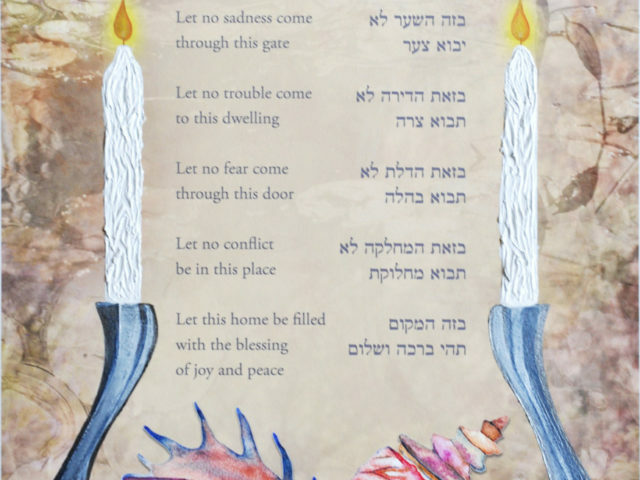 The Jewish Calendar is imbued with many vibrant and colorful holidays that each conjure exciting visual elements and associations. 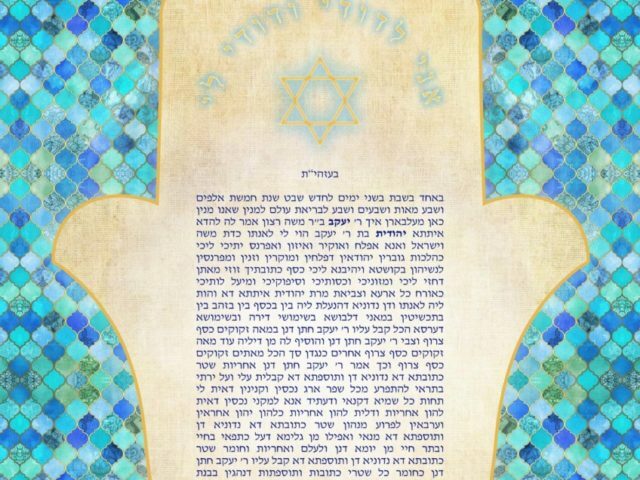 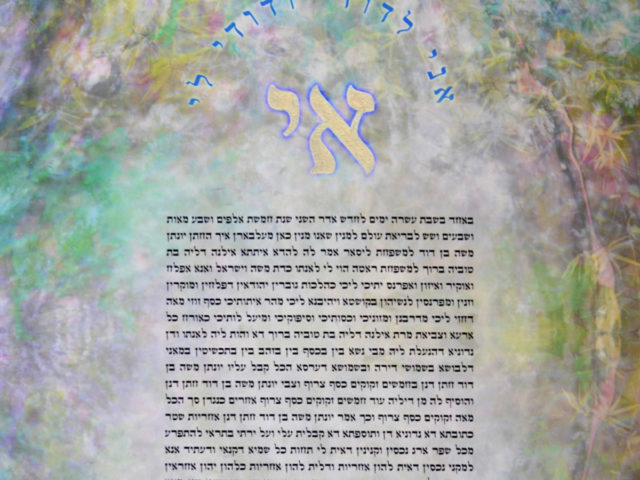 Rosh Hashanah, Yom Kippur, Simchat Torah, Succot, Channukah, Purim, Pesach, Shavuot and many others – the Jewish Calender overflows with holidays in which we celebrate, commemorate and meditate on our past, present and future guided by the Torah. 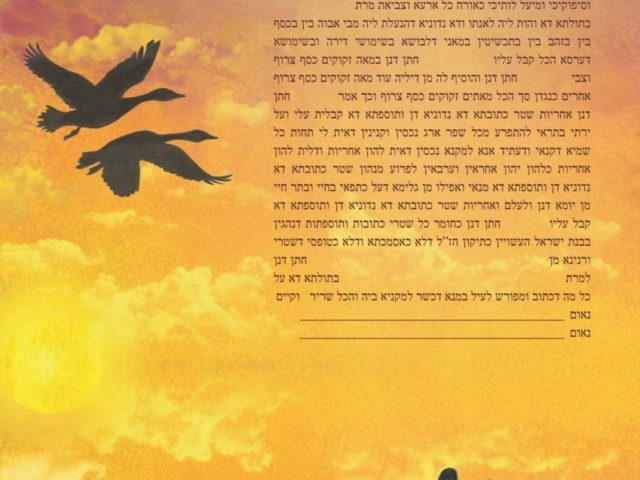 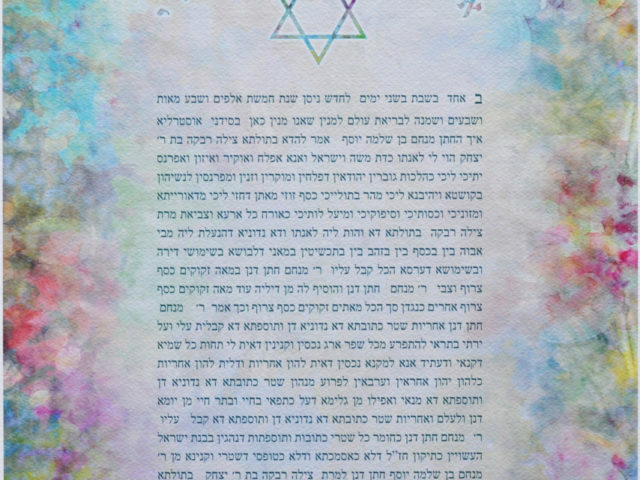 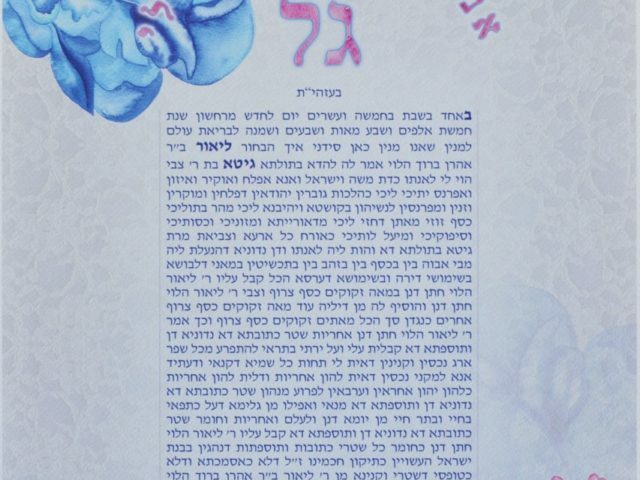 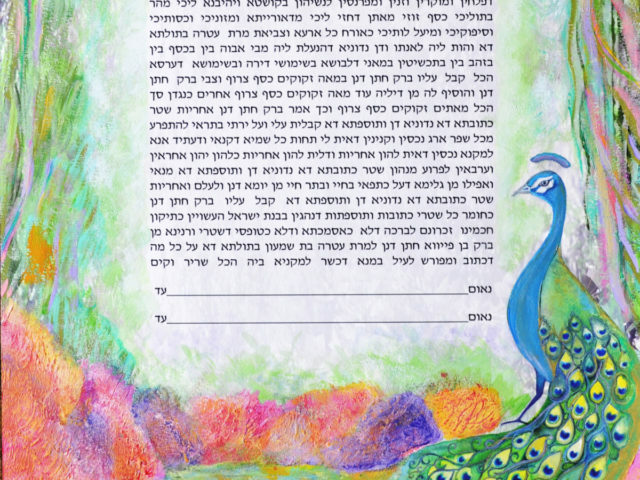 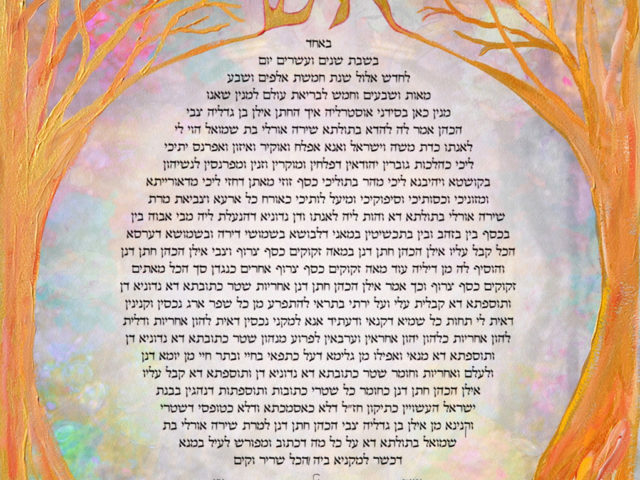 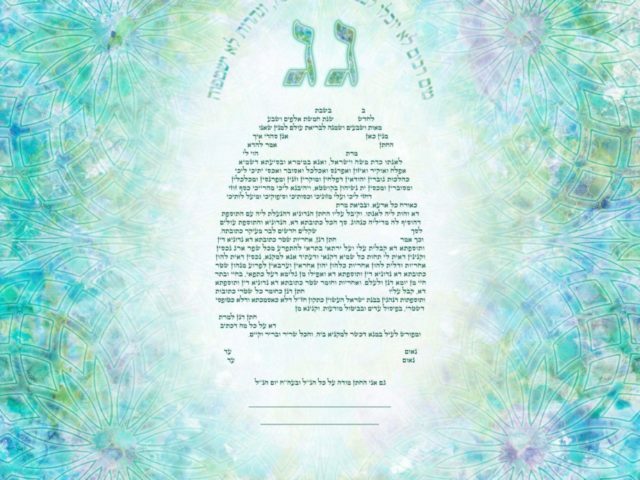 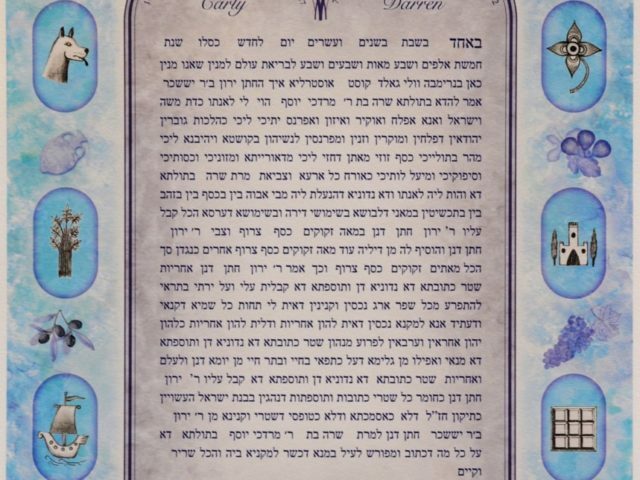 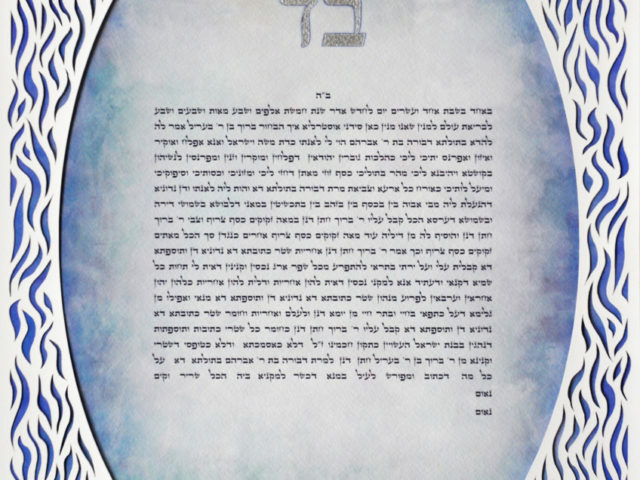 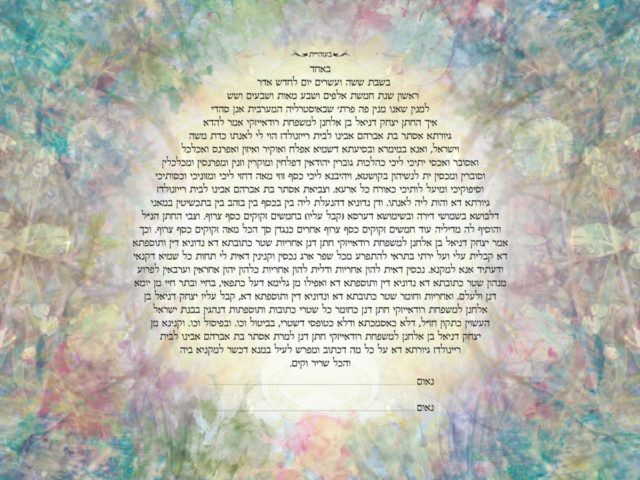 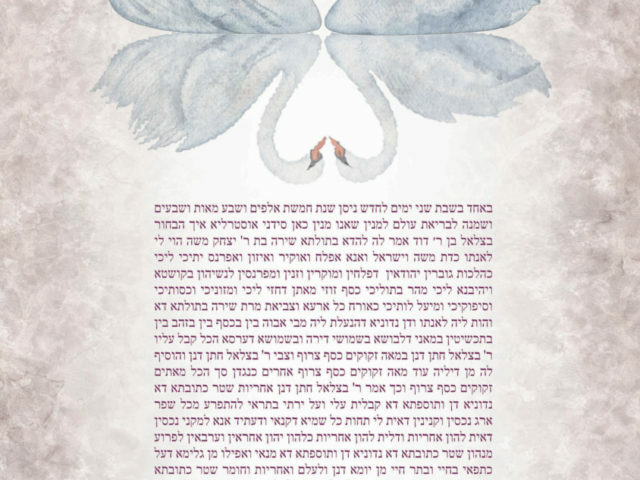 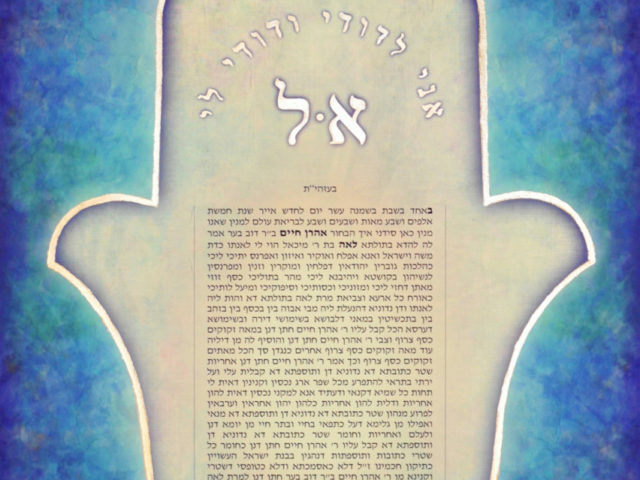 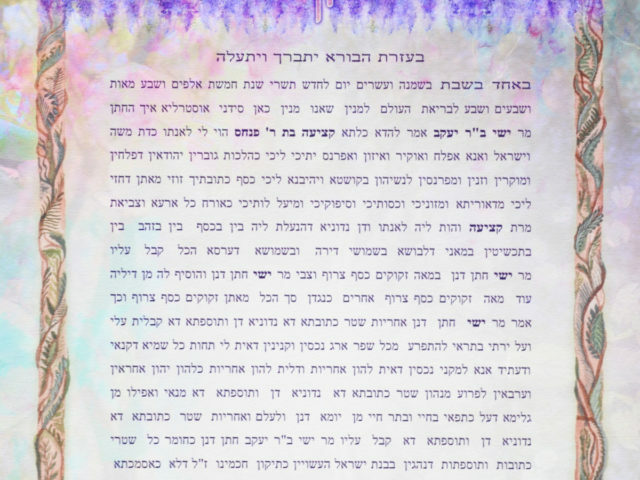 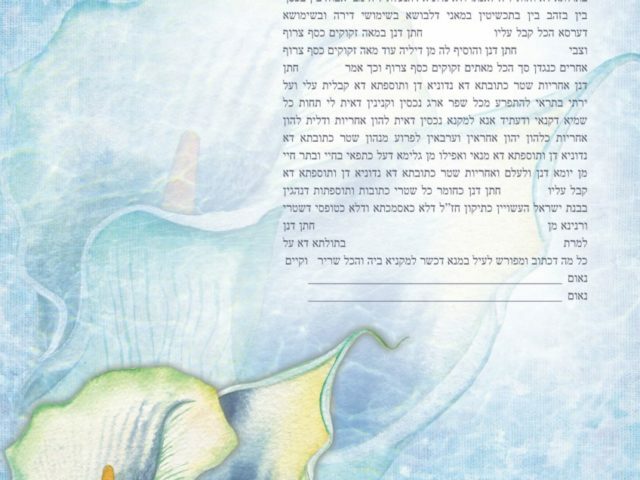 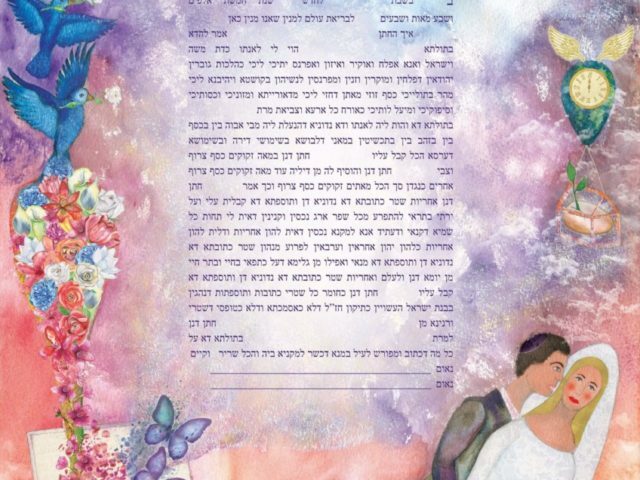 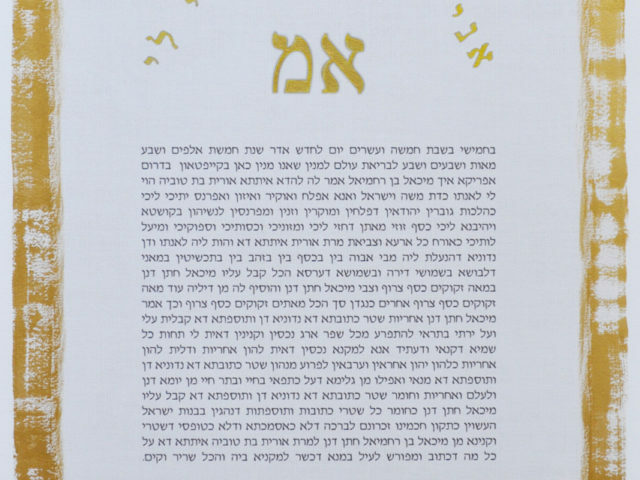 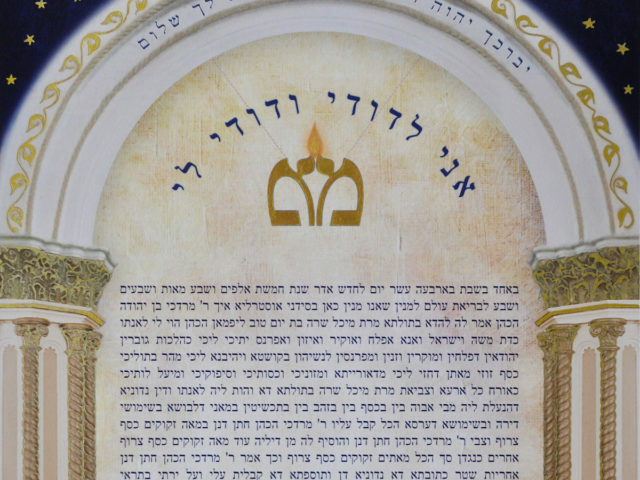 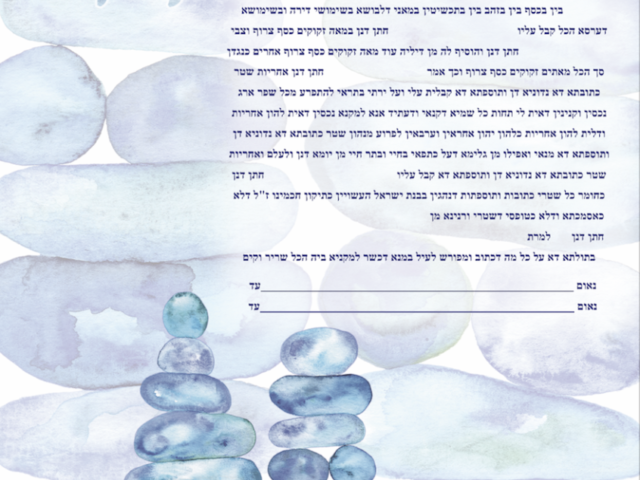 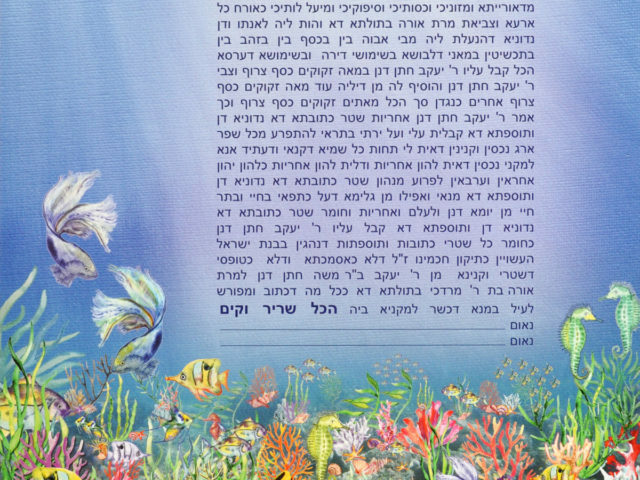 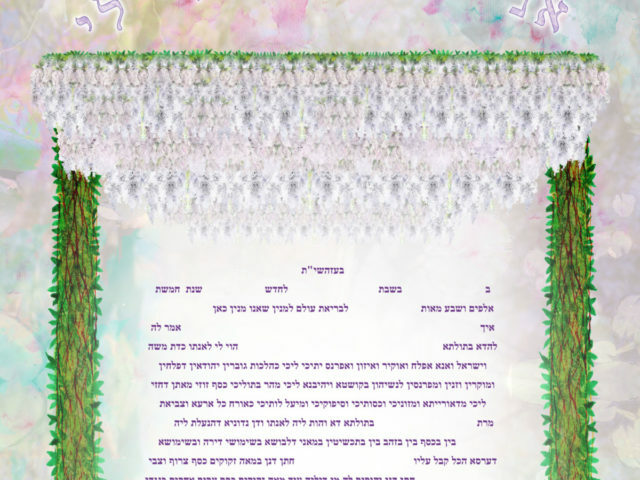 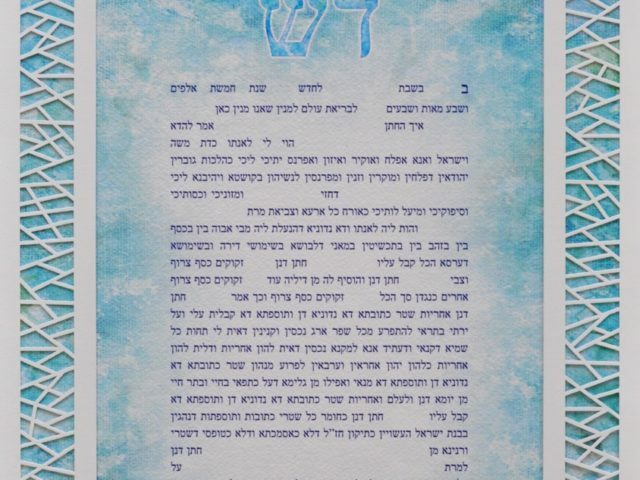 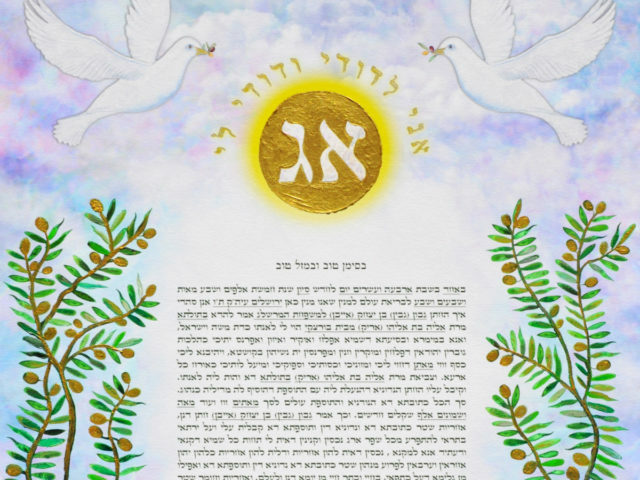 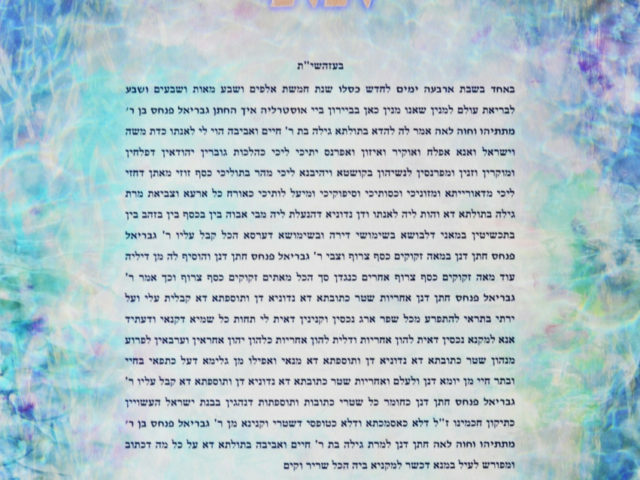 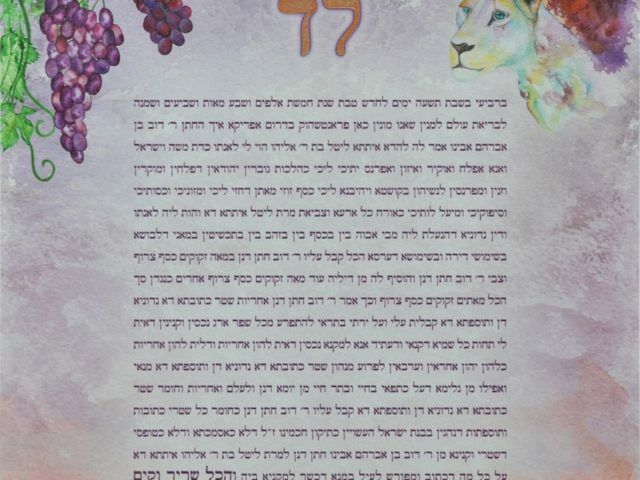 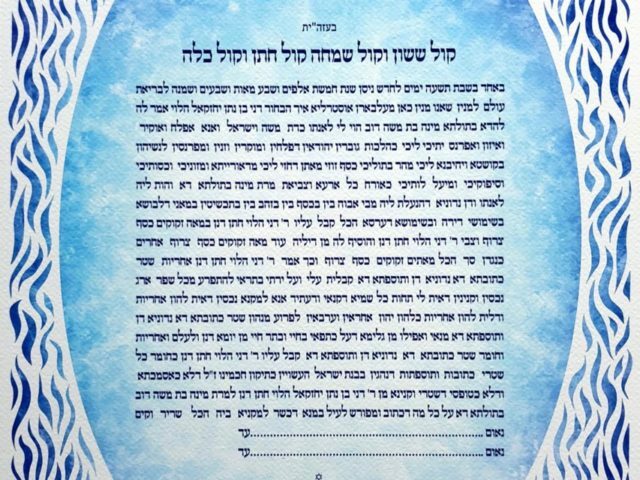 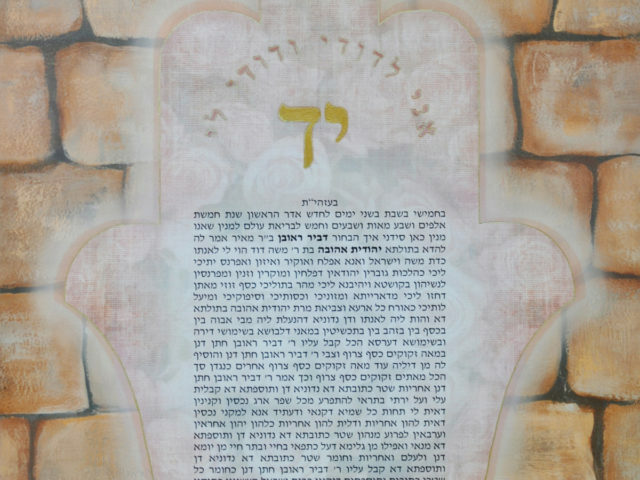 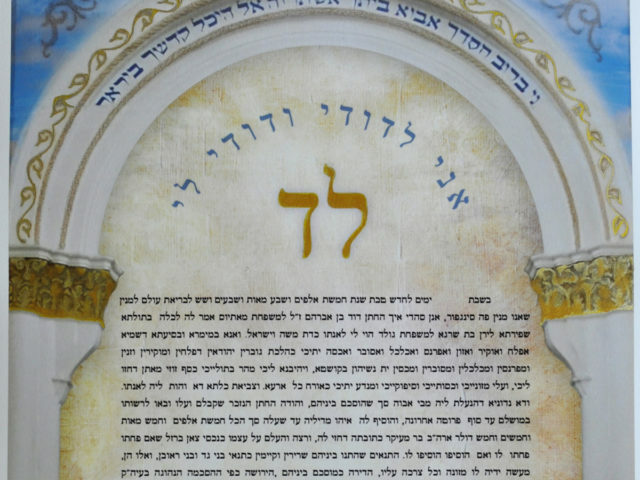 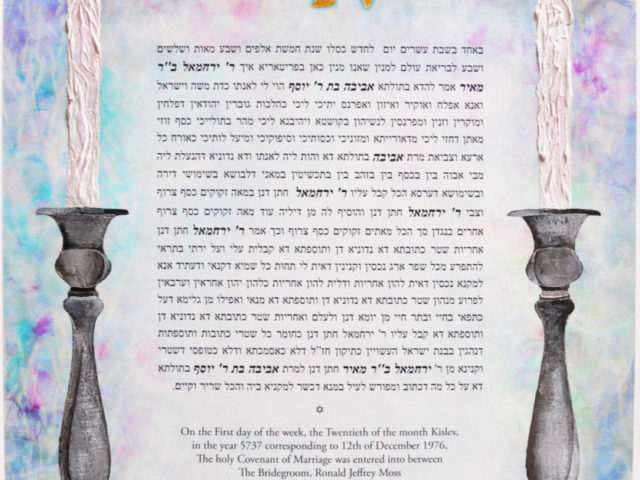 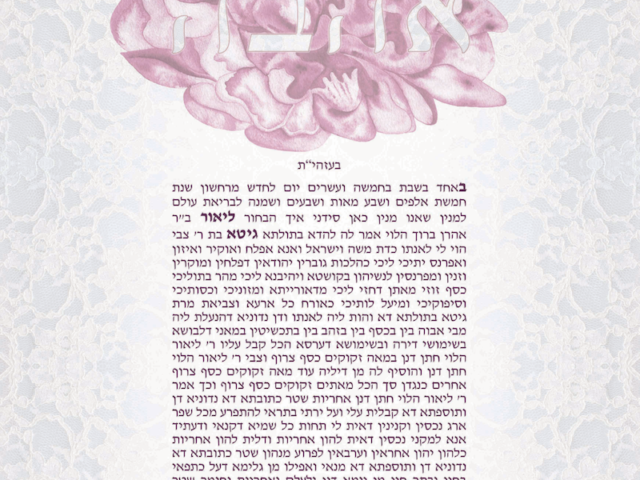 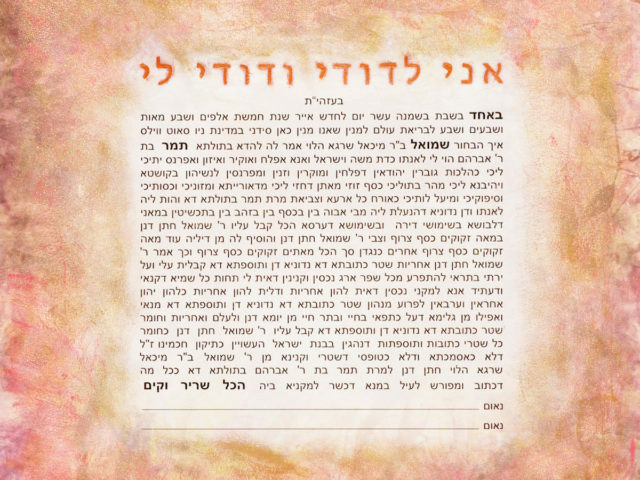 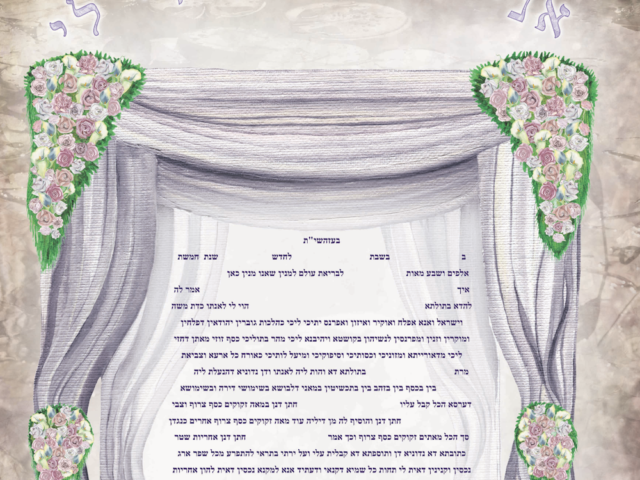 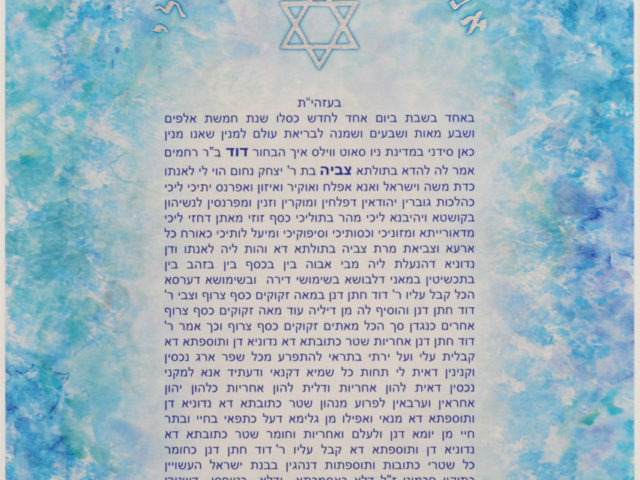 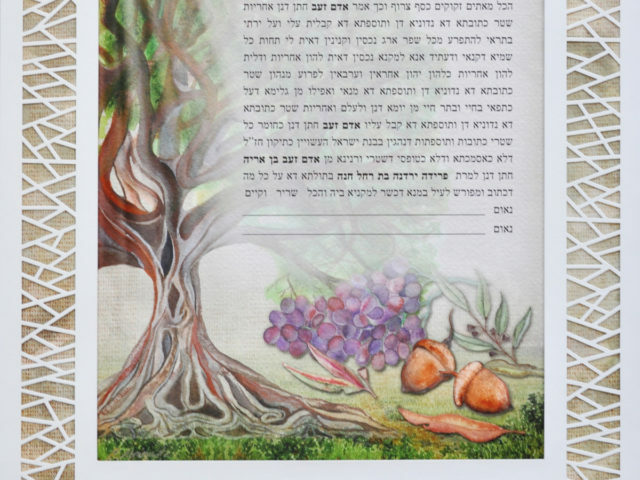 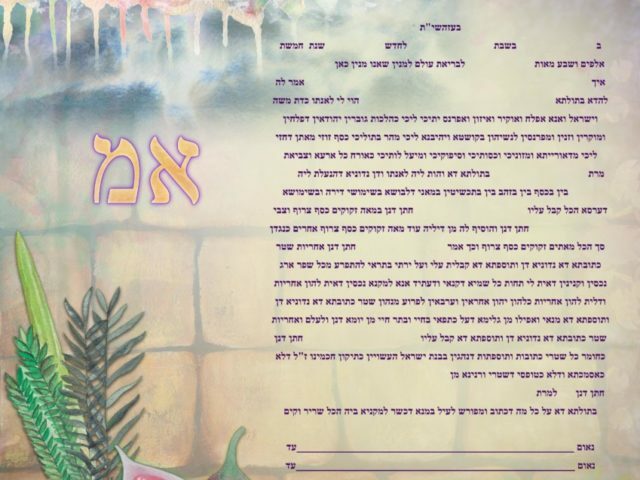 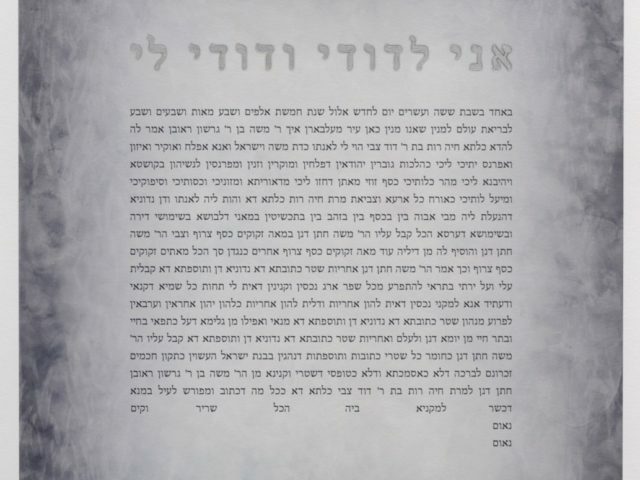 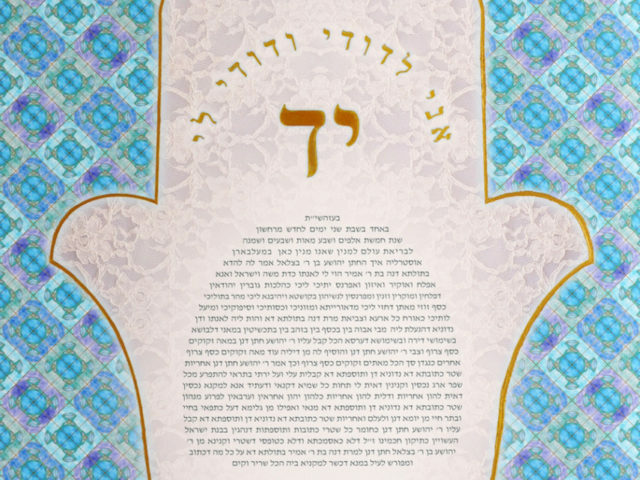 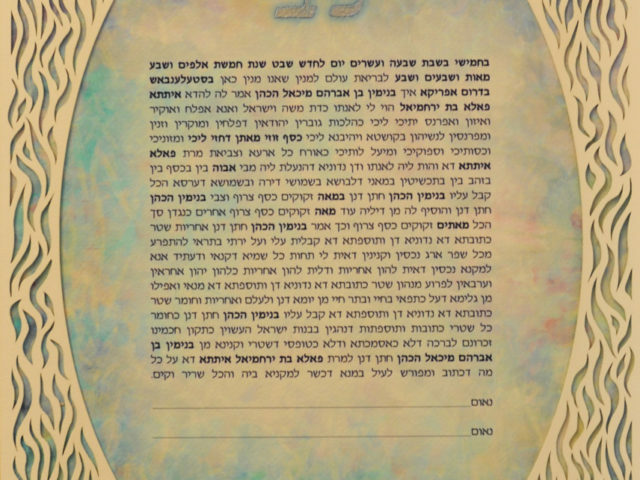 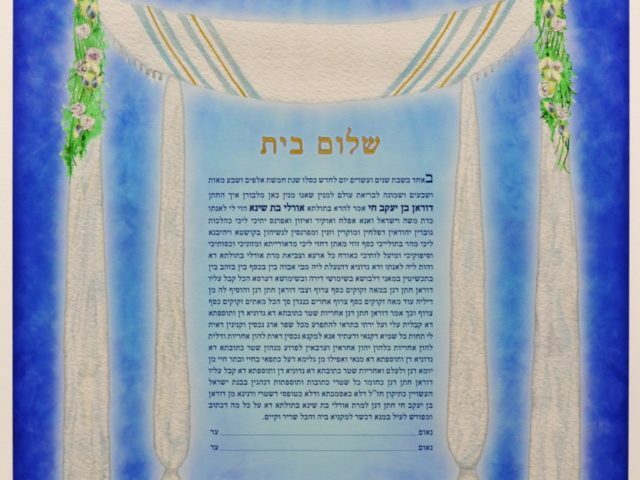 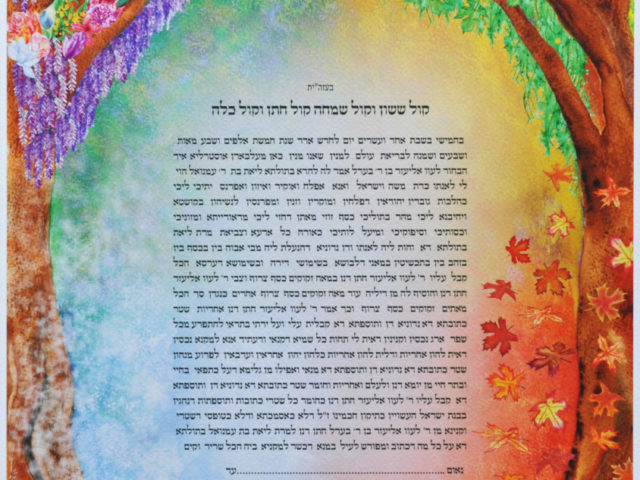 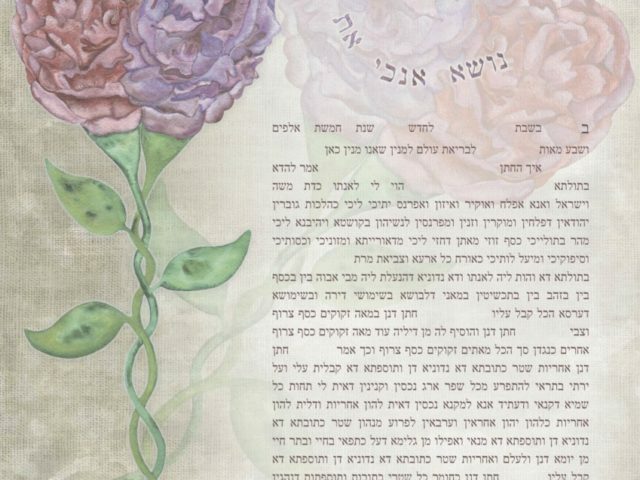 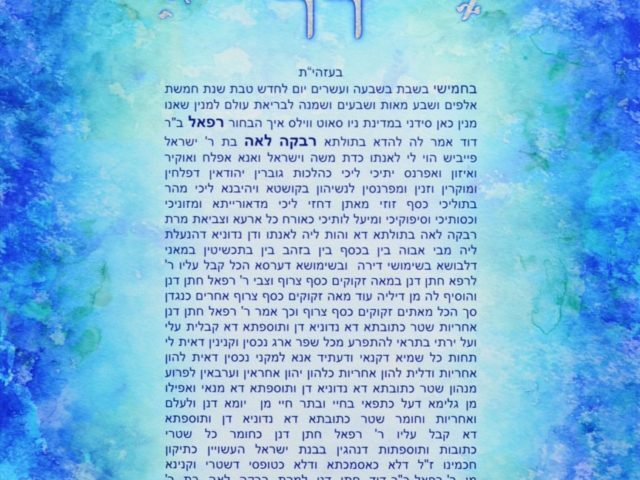 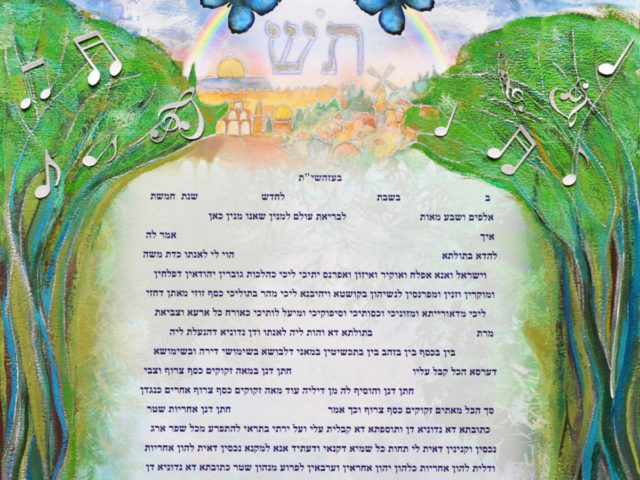 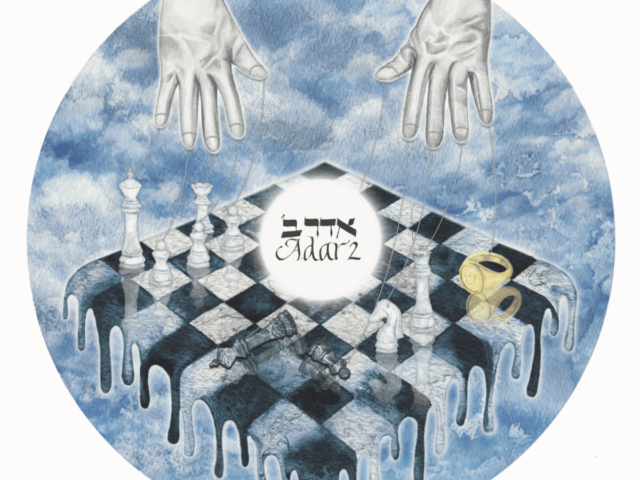 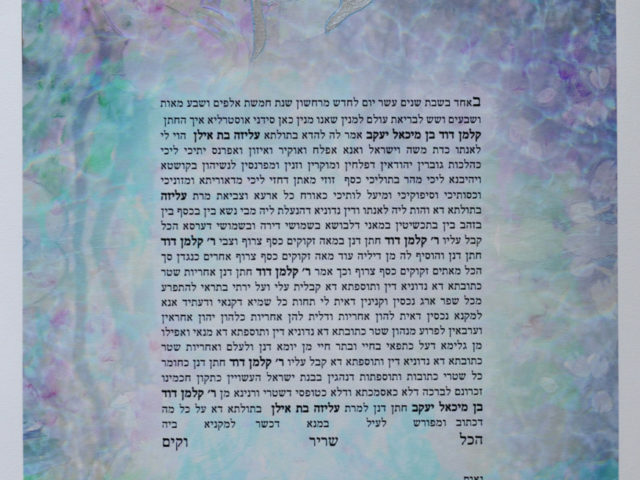 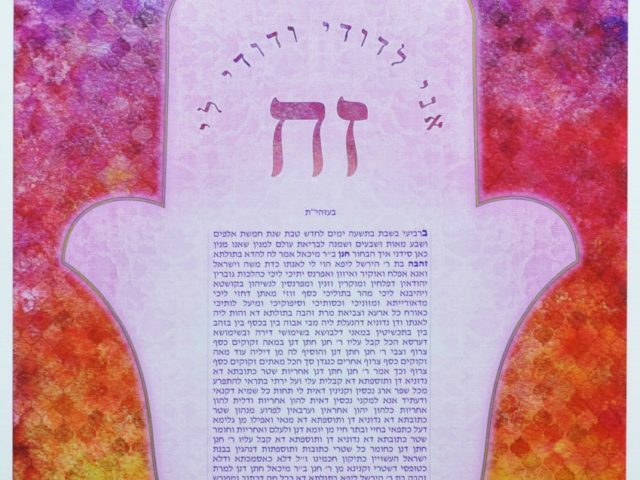 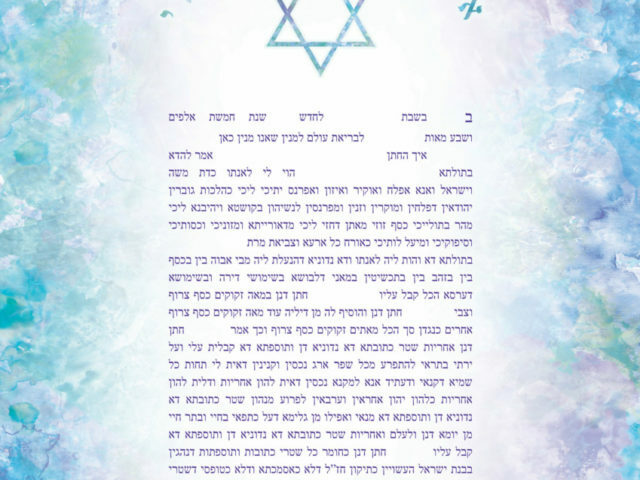 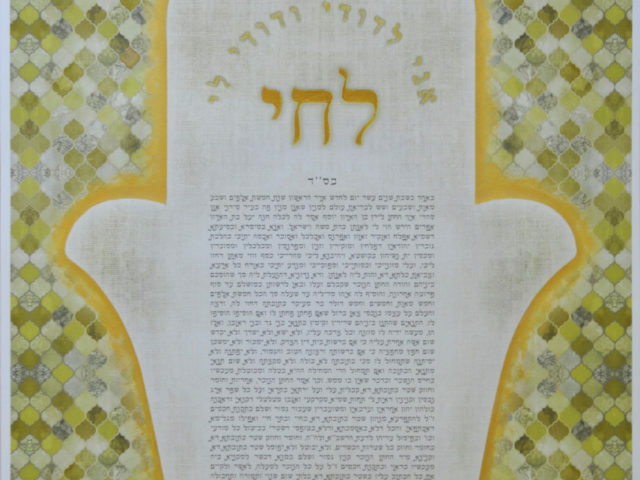 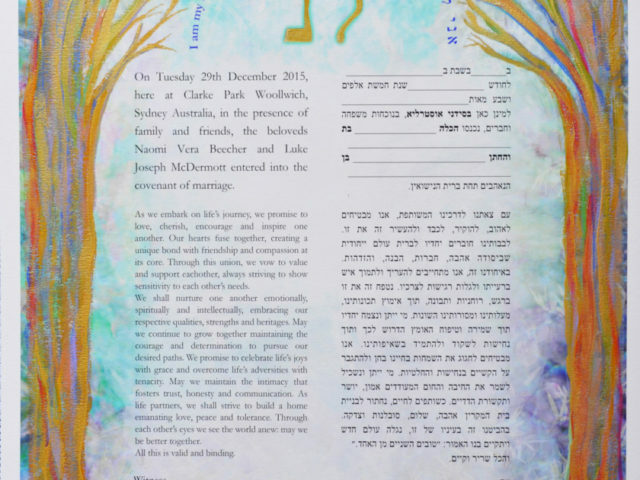 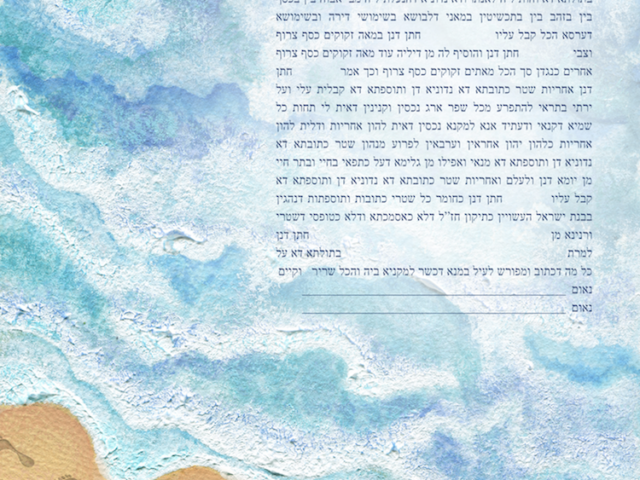 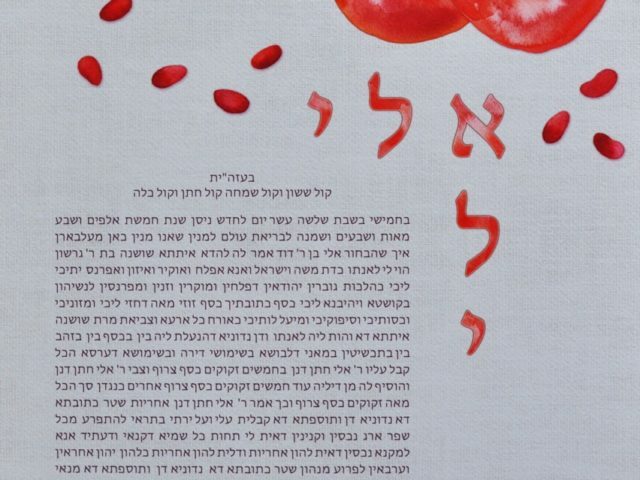 Synchronised with the timing of your wedding, there are unbounded opportunities to derive biblical imagery from the corresponding weekly Torah portions together with signifiers from the Festivals gracing the calendar to populate the design.